BlackBull Affiliates is the partner referral program of BlackBull Markets, a top-tier, award-winning, and financially registered New Zealand forex broker with a globally trusted presence. Our affiliate program is designed to keep you up to date with the latest details about your account. We’ve already done the hard work for you. Our holistic omnichannel client onboarding journey has been developed and optimised by industry professionals with years of knowledge and experiences. At all steps in their journey to becoming successful traders, our skilled sales team will be right there to guide your leads along the way. BlackBull Affiliates introduces a revolutionary, industry-leading payment structure to reward our valued partners for their hard work on a cost per acquisition for every new client they refer with CPA up to $600 per client and unlimited earning potential. We put you first. Our services don’t end once you’re in the door, in fact, that’s where it just begins. 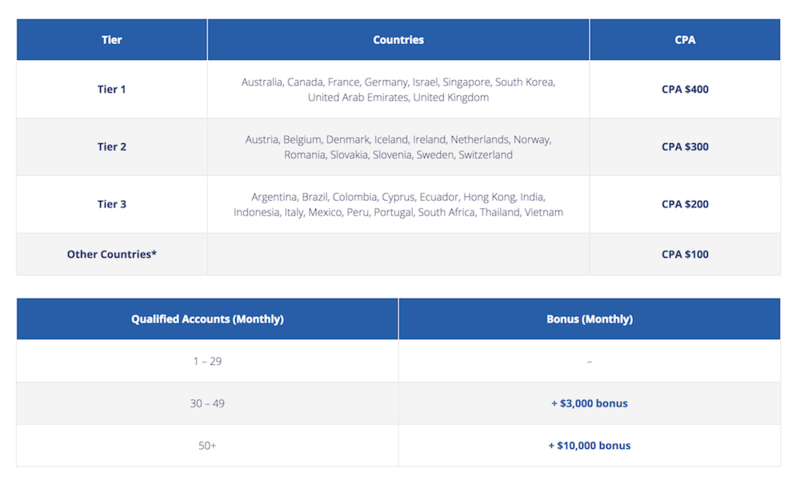 As an affiliate with BlackBull Affiliates, you’ll have a personal account manager, with years of industry experience, to work closely with you as your first point of contact. This is a true partnership and we want to see your business grow at the same time as ours. You have everything you need to get started. We have a collection of tailor-made landing pages that are fully responsive, mobile friendly, and available in multiple languages. Start directing your traffic to our highest-converting landing pages today and increase your earnings. We give you the freedom to choose one of our product or promotional pages, homepage or send traffic directly to a signup form and you can report on the performance of your traffic with separate tracking links.